Canadian author, Anthony Bidulka, strikes gold yet again in his latest book “The Women of Skawa Island”. This is the second volume in the Adam Saint series. 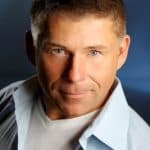 The first book, a fast paced thriller titled “When the Saints Go Marching In”, introduced us to Adam Saint a former Canadian Disaster Recovery agent. Saint was one of the top men in the agency until brain cancer diagnosis cuts his career short. In it we meet Adam and his family. I suggest reading “When the Saints Go Marching In” first to get a feel for who Adam Saint is. “The Women of Skawa Island” picks up where the first left off. In this adventure he teams up with his sister Alexandra who is a pretty tough chick herself. We meet her and get to know her a bit in book one but she really shines in this second installment of the series. Adam is sent on a mission to pick up a group of shipwreck survivors on Skawa Island, a remote landmass in the South Pacific. His sister tags along for the adventure but once on the island the adventure turns into a heart pounding life and death thriller with each moment of the story bringing more danger to the siblings. They promptly find the survivors, who claim to have been on the island for a decade, but the survivor’s story doesn’t quite jive for the always curious and cautious Adam Saint. Adam and Alexandra remain on the island as the small rescue plane doesn’t have enough room for them. It will return the next day for them. This gives Adam some time to investigate the island. This is where the story kicks into high gear. There is no dull moment for the duo from here on out. Bidulka’s writing is detailed and colorful. I can almost feel the hot moisture dripping down my brow as if I were in the tropical jungle slogging along through the underbrush with the Saints. He tightly weaves interlocking stories into a complex narrative that is captivating and pulse pounding. The tale never stops moving forward as it builds to the climactic end. After reading the book I (and I believe you too will…) feel like I have left a friend behind. I want to know more about them and I want to hang with them some more. Adam Saint and Alexandra are heroes that are in far too little supply in our world today. The book is filled with complex and well defined characters that you will love…while others you will hate. I look forward to the next Adam Saint book. Read “When the Saints Go Marching In” first, then jump right into “The Women of Skawa Island”. I assure you that you will not be sorry for purchasing these two books. Rating: 9/10 – Fast paced thriller.